Do you require particularly high pressures for specific applications in your compressed air network? 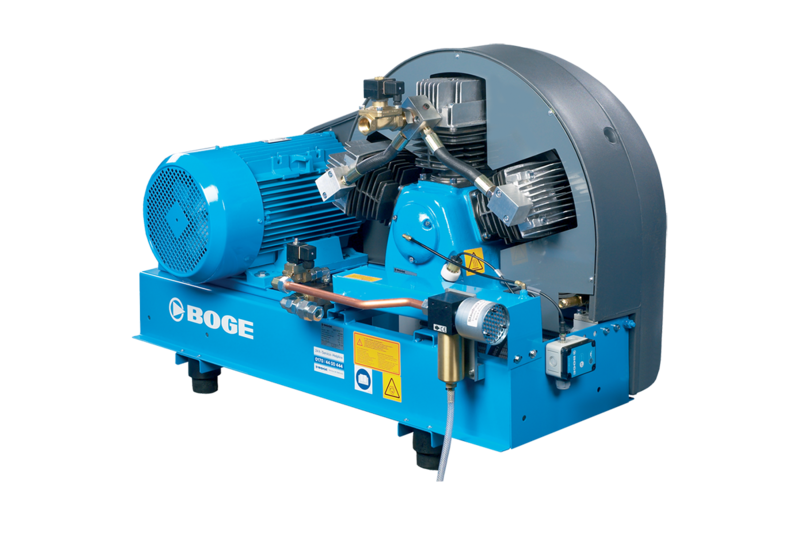 The BOGE Booster takes pre-compressed and already treated compressed air from an existing network or a low pressure compressor and boosts it to the desired higher pressure – absolutely cost-efficient! Input and final pressures can be easily modified on the BOGE Booster, providing a universal compressor to meet varying pressure requirements. It is also worth bearing in mind that boosting the pressure of an existing network will result in reduced energy consumption. Oil level monitoring comes standard with the BOGE Booster, ensuring increased operating safety and reduced maintenance costs. A pre-filter comes standard with the BOGE Booster to optimize intake air quality. This serves to prevent damage in aggressive environments and maintains operational integrity. Ventilation silencer with condensate drain is an optional extra for the BOGE Booster; it is compact and does not require any additional space. Only the use of BOGE original parts will enable you to benefit from the technological edge of the SRHV-series in the long run. To this purpose, CRU AIR + GAS offers individually customized replacement parts for the SRHV-series guaranteeing 100 percent quality and 100 percent service life. Only such original parts are compatible with the compressors of the SRHV-series for maximum safety during the entire service life period.